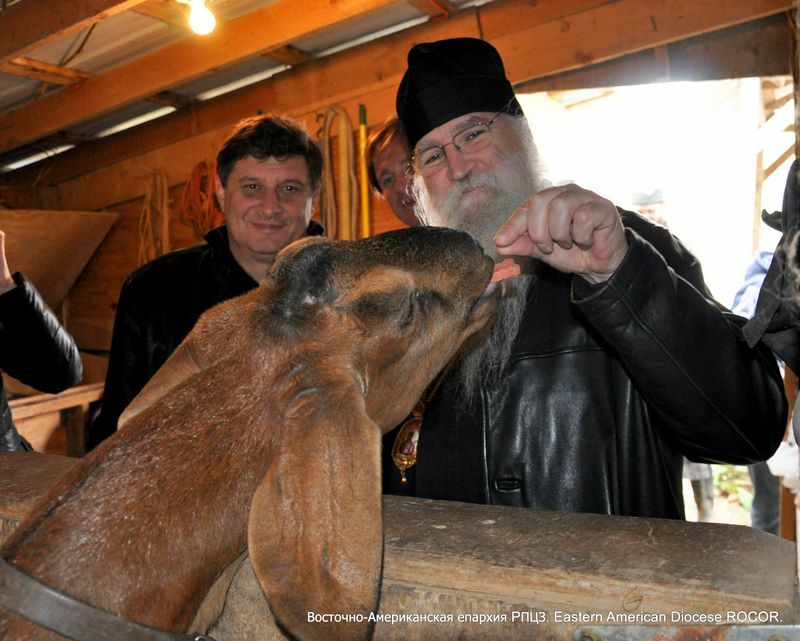 Fund for Assistance to the ROCOR - Please help the monks at Holy Cross Monastery! As the end of year rapidly approaches, I wish all of you the time to quietly contemplate on the significance of our Savior’s birth, and the duties we as Orthodox Christians have to support our unique Faith. It is in this spirit that the Fund for Assistance calls for your special consideration in helping our fathers and brethren at the Hermitage of the Holy Cross. "By opening its doors in loving embrace to all Orthodox Christians of every canonical jurisdiction, Holy Cross Monastery has indeed become a Triumph of Orthodoxy in our times. 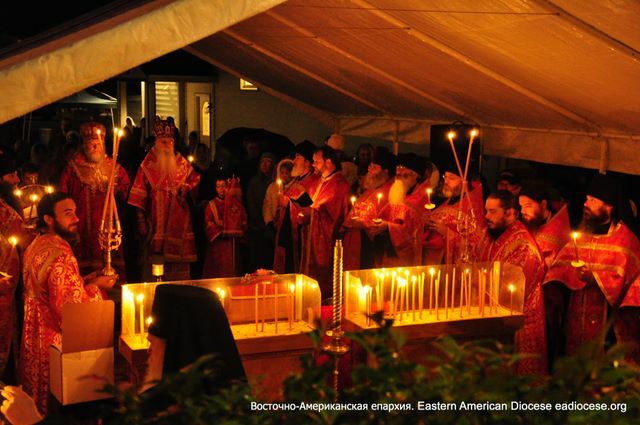 ... With over 20 brethren, Holy Cross Monastery is not only the largest monastery in the diocese, but has also become an important spiritual center for thousands of Orthodox Christians living in America". all-night vigil is served outside under a tent. • Lack of adequate living space. One novice lives in a temporary “box” created in the garage of a guesthouse, from which he has to travel half a mile to the monastery for church services, meals and obediences several times as day. Another novice lives in an old RV that is barely livable in winter. • Lack of facilities for monks: of all the members of the community, only five have easy access to bathroom facilities. The rest need to leave their cells and walk somewhere outside to the nearest bathroom. The majority of cells were built in a temporary, primitive way, and are nearing the end of their useful lives. • Lack of facilities for visitors: all visitors are fed in a primitive trapeza, an 11-year-old double-wide mobile home. Large sections of the floor have been replaced to keep it usable. • Inability to cover operating expenses: as the monastery has expanded, so have its operating expenses. The cost of raw materials continues to increase. A few weeks ago, the monastery had less than $300 in its checking accounts, with reserves depleted to dangerous levels, with mounting bills and debts. monastery merchandise to a visitor. “Monasteries are the foundation of our Church, because they are places where prayer never ceases. When we visit this holy monastery, we benefit by receiving spiritual edification through prayer and confession. Even if we are not able to visit, we will still be comforted, because we know that the monastics are praying for all of us. 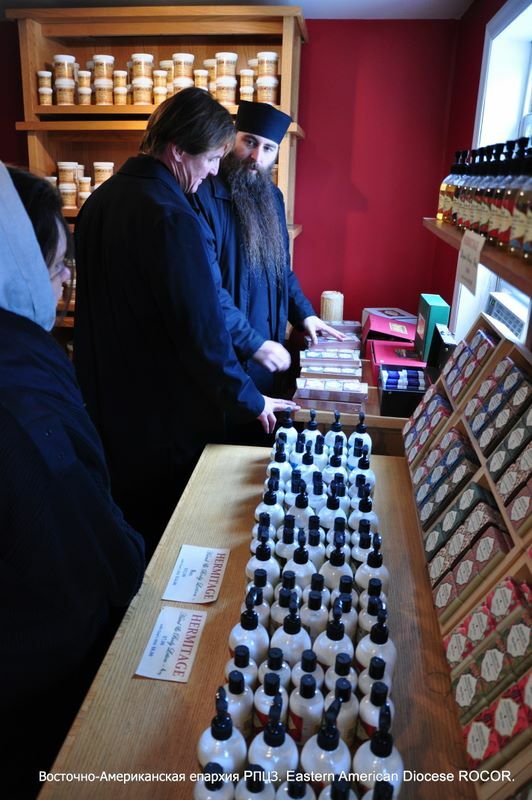 Monasticism means living the Christian life to the fullest. I am so grateful to the monastics of this monastery, which plays a most important role in the spiritual life of our Diocese. I pray that God will grant them strength to continue their labors, so that they may persevere on the narrow path of monasticism”. The Fund for Assistance is so convinced of the need to ensure the survival of the Holy Cross Monastery that we will match every dollar you contribute through the end of February, 2012*. "May God bless everyone who supports Holy Cross Monastery through their prayers and donations. May we continue to support this holy habitation, so that it may continue to flourish for the glory of Almighty God and for the sake of our own salvation". or, even more quickly, by clicking here. May you all enjoy a most wonderful Nativity feast! * The first $60,000 of contributions will be matched.